You should expect a condo community pool to be more than merely beautiful. It ought to be spectacular in design and creation, say real estate pros. “We have found that the pool and the overall setting of the pool areas are really important for our buyers,” said David Hovey Jr., president of Optima Inc., the designer, developer and general contractor for the Optima Kierland community in Scottsdale. 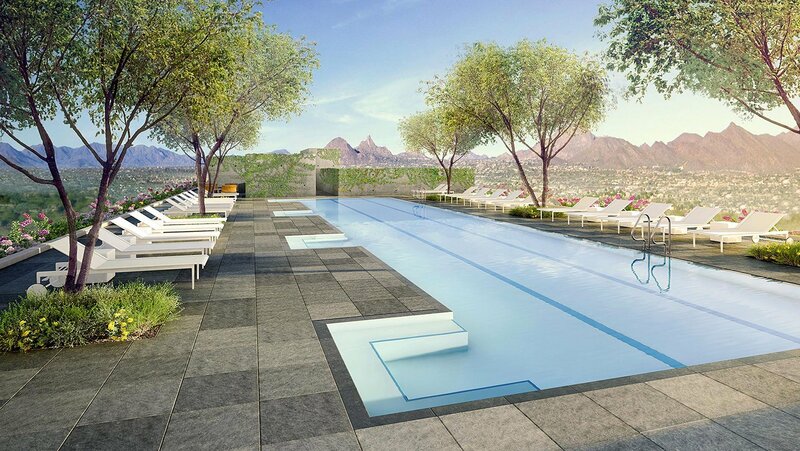 “We have found that the pool and … pool areas are really important for our buyers.” —David Hovey Jr., Optima Inc.
Deco Communities’ three condo locations — Envy and Inspire in Scottsdale and Edison Midtown in Central Phoenix — each has a uniquely configured pool.